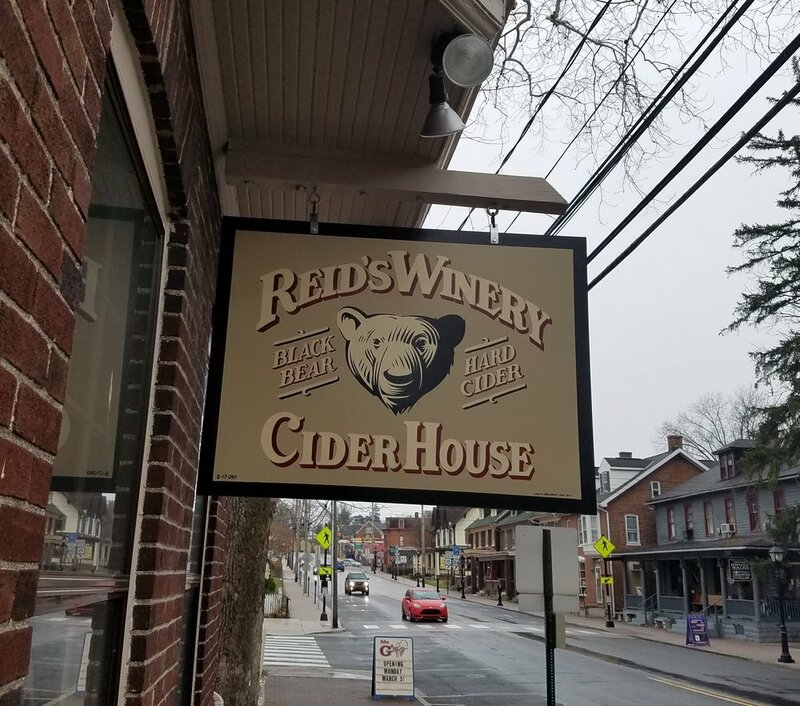 Information about wine tastings and tours at Reid's Orchard and Winery. Visit us in Gettysburg or Orrtanna, halfway between Chambersburg and Gettysburg. We offer hard cider, wine, food and fun. Wine and hard cider tastings are done during normal business hours. Wine tasting w/wine glass- $8 for five one-ounce samples and keep the glass! GROUPS: If you have a group of 6 or more, please contact us to arrange a tasting. Pets: Pets are welcome in our outdoor areas. Looking for some peace and quiet? Our Home Winery Tasting Room is open on weekends from May- December in the rural Buchanan Valley. We offer live music on weekends in the summer. Please feel free to bring a picnic lunch or snacks. Although we do not offer official winery tours, our tasting room is located in our production facility, and our staff will be more than happy to explain the wine-making process to you. Closed for the season. We reopen in May. Our Cider House in Gettysburg offers a different experience. Nestled in the heart of downtown Gettysburg, between the Square and Steinwehr Ave, this location opened in 2014. We are open year-round, seven days a week. Stop by for a wine or hard cider tasting, and pair a glass with a cheese and cracker tray.